Guns, girls and gambling. There’s already a lot to love about Las Vegas, but it’s made infinitely better every November when it opens its doors to SEMA – the largest tuning expo in the world! Here’s the thing, SEMA isn’t your typical ‘big’ car show. Thanks to its prime location in Downtown Debauchery-Ville, everything gets turned up to eleven in the quest for creating the baddest, maddest car event on the planet. Safe to say they’ve well and truly succeeded, growing in size every year since its inaugural launch back in 1967. In case you haven’t guessed it already, Meguiar’s love SEMA. It represents everything we love about car culture on a mammoth scale, and it’s the main reason we continue to return year after year with all the upcoming cleaning technologies on display. Whether you’re selling bespoke crankshafts or 30in chrome wheels, everyone at SEMA is united by passion. It’s super-rare to get such a variety of scenes and tuners together under one roof, but that’s also part of its charm. It doesn’t matter what part of the industry you belong to, SEMA gives you the opportunity to open up your eyes to everything it has to offer. 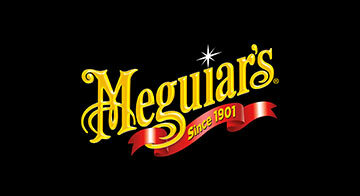 Meguiar’s Air Re-Fresher: Eliminate car odours in one simple and easy step!